Stocks edged lower last week, as the S&P 500 fell by 0.22 percent to 2,664.76. 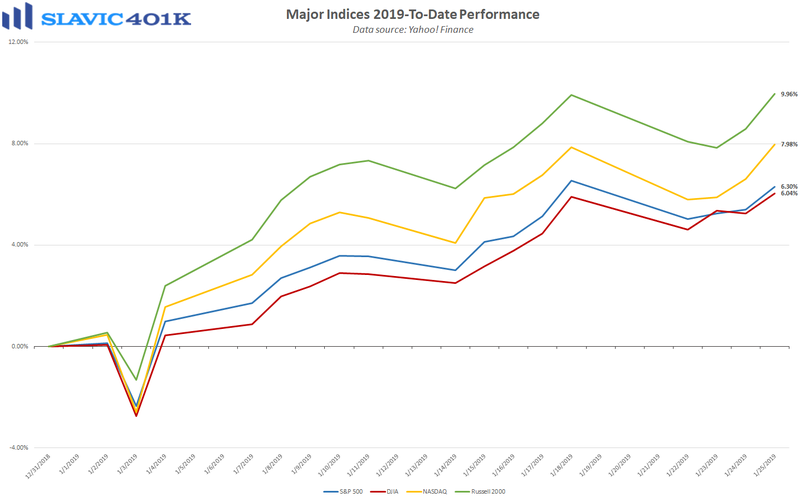 That left the benchmark index up 6.30 percent 2019-to-date, and 9.08 percent below the all-time high hit last September. 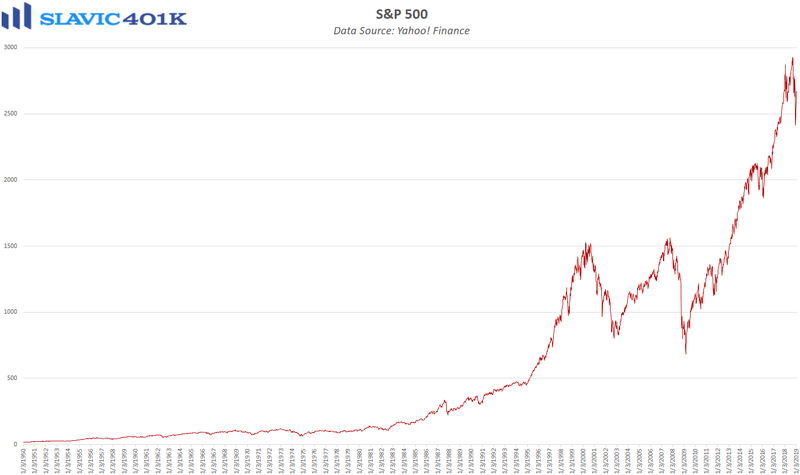 The price action last week was actually quite encouraging considering that the S&P 500 at one point was down by 2.17 percent before the bulls stepped in and regained control. Continued optimism about a potential trade accord with China and an end to the partial government shutdown helped buoy equities last week. The latter became more than just rumors on Friday when news broke that President Trump would agree to reopen the government for roughly three weeks to alleviate economic strains and give lawmakers time to negotiate a more substantial spending deal. Although this is clearly a positive development for stocks, many unknowns (risks) remain that could become excuses for traders to take profits (sell). 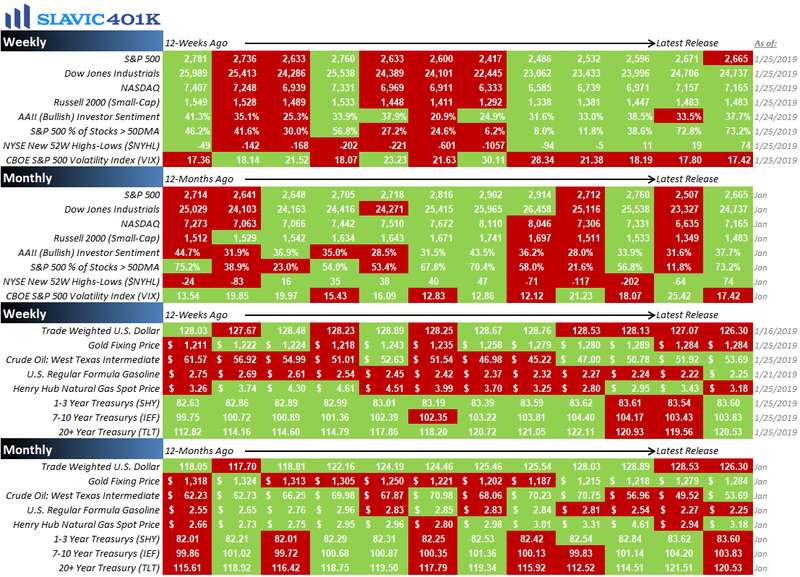 Market participants are therefore understandably expressing “cautious optimism” about equities in the near-term. For example, 37.7 percent of retail investors in the latest AAII survey said that they expect stock prices will generally rise over the next six months, below the historical average but still back to the level seen in early December before the extreme selling began. At the same time, 32.3 percent of respondents anticipate stocks will generally decline in value during the next six months, above the long-term average. The fact that many investors still have doubts about the rally is for some traders one of the best reasons why it could continue. However, even if stocks do extend their gains, it is unlikely that volatility will be going away anytime soon. Retail investors unsure how to navigate this environment should consider consulting with a professional financial advisor and as always, we are here to help with any questions you may have. To recap a few of the things we learned about the economy last (holiday-shortened) week, the only clear positive was that the number of Americans making first-time claims for unemployment benefits fell to the lowest level since 1969. As for the negatives, home purchase applications slid, housing inflation remained elevated, and gauges of regional manufacturing activity continued to send mixed signals. 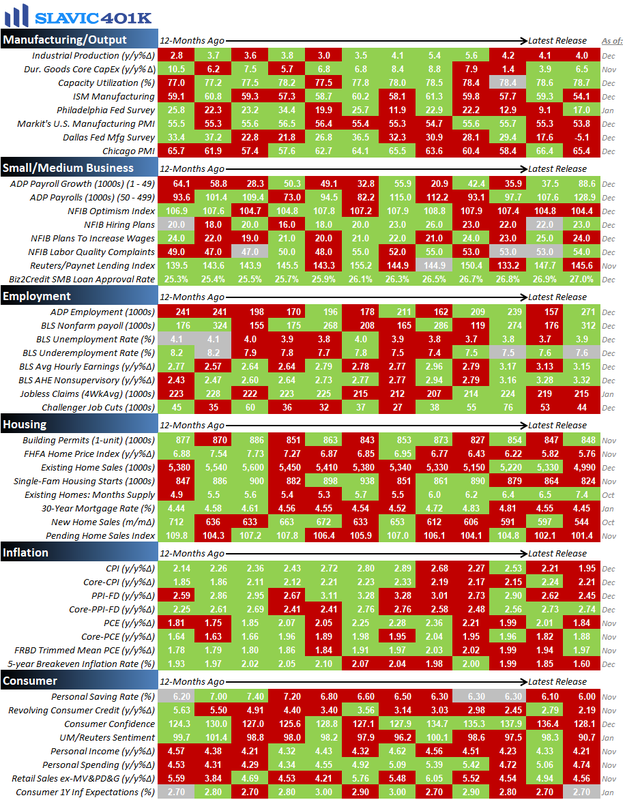 This week the pace of economic data picks up with several important reports on housing, manufacturing, consumers, inflation, employment, and U.S. gross domestic product (GDP) growth scheduled to be released. 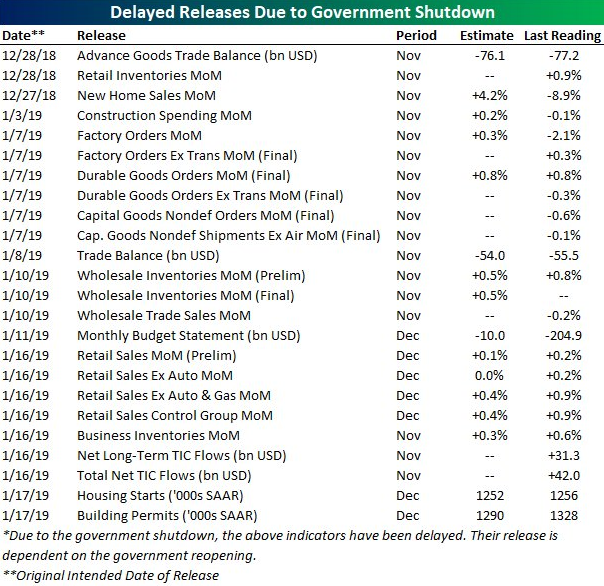 Several reports have been delayed as a result of the partial government shutdown, so this data may now start to be released as well. The Federal Open Market Committee (FOMC) will also make a potentially market-moving announcement on monetary policy this Wednesday.